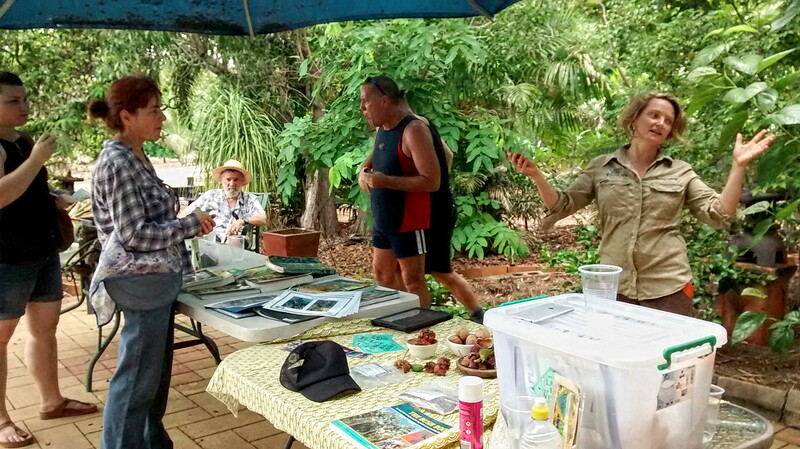 Our recent Enhancing Habitat workshop, held at the Territory Wildlife Park, was a great success. 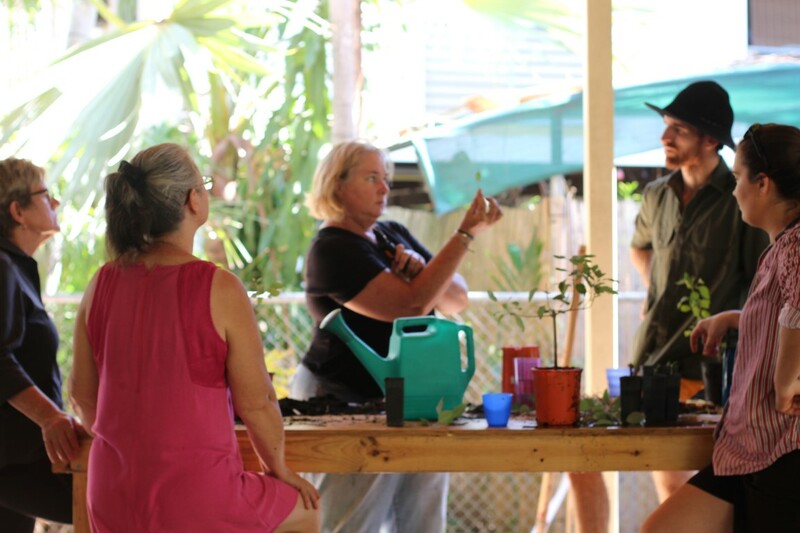 The workshop was presented in collaboration with Territory Wildlife Park, Charles Darwin University (CDU) and Remote Area Tree Service. Over 45 Land for Wildlife members attended to learn about the different ways their properties can be improved as habitat for arboreal wildlife. Information was provided about the importance of tree hollows and nest boxes as habitat for native species, such as the threatened Black-footed tree rat. Practical demonstrations and arboreal animal encounters were also included, and members were given the opportunity to finish nest boxes to take home and install on their property. Dr Leigh-Anne Woolley, a researcher from CDU, gave an informative talk about her research into the decline of arboreal mammals in the NT and the use of nest boxes by these species. Leigh-Anne showed that nest boxes were used by several native mammals and the size of the hollow determined which animals were likely to use them. Territory Wildlife Park assistant curator, Damien Stanioch, gave a practical presentation with Land for Wildlife coordinator Emma Lupin, of the several ways that nest boxes can be installed onto trees. Damien also talked about and answered questions on his experiences with the use of nest boxes. Afterwards, members had the opportunity to paint their complimentary nest boxes, which were generously made by the Palmerston Men’s Shed, with some products supplied by Bunnings. The team from Remote Area Tree Service gave a great demonstration on how hollows can be made manually by using chainsaw techniques on dead trees, branches and logs. This is a wonderful way to ‘speed up’ the natural process of hollow-forming. During lunch, staff from Territory Wildlife Park treated members to an up-close encounter of native animals which use hollows, including the sugar glider and threatened northern quoll and black-footed tree rat. A huge thanks to Territory NRM for funding this project and to the Territory Wildlife Parkfor hosting and the time of their always knowledgeable and passionate staff. Thanks to Dr Leigh-Anne Woolley for presenting and sharing her knowledge, to Remote Area Tree Services for their wonderful presentation; to Palmerston Men’s Shed for making our boxes and Bunnings for donating some of the materials and of course all the members that are getting involved…. 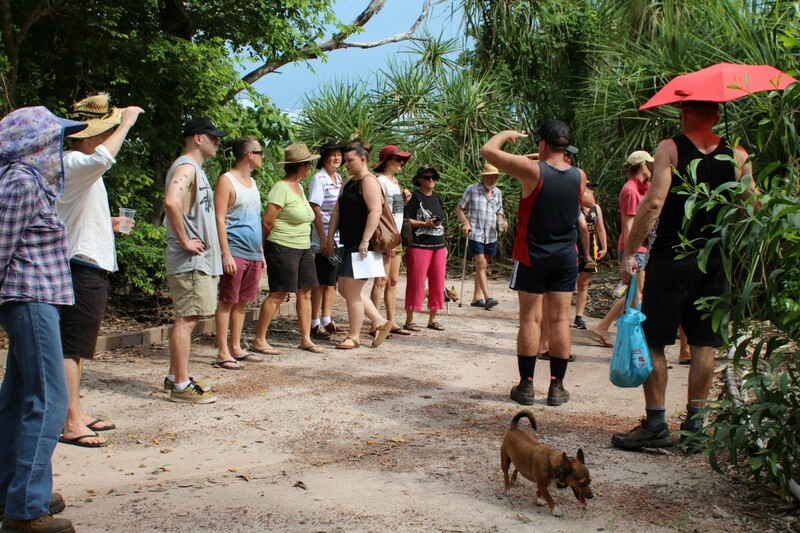 There are many fauna species that are declining in number in the Top End region, often the reason is not completely understood or can be several reasons. As well as feral animal issues (including the Cane Toad invasion and feral cats) often the lack of hollows in trees and mid story fruiting trees cause animals to decline in number. One of the main reasons that hollows and the mid storey fruiting layer of the woodland landscapes disappear is fire (and of course land clearing). Fire that is too frequent, wide spread and late in the season drastically changes the composition of our woodland landscapes in the longer term as well as the more immediate death of wildlife such as young birds, lizards, in sects and some mammals. Hollows which many nocturnal species depend on during the day are lost and although larger trees can recover after a hot fire, many of the mid story fruiting trees that many animals rely on as a food source do not survive. In addition to having a good fire (and weed) management plan to avoid hot fires landholders can install nest boxes and enhance plant with food plants for wildlife. It takes many years for trees hollows to form and for mid story fruiting trees to mature, so in the interim shelter can be created by making and installing nest boxes which are created to house specifics species. 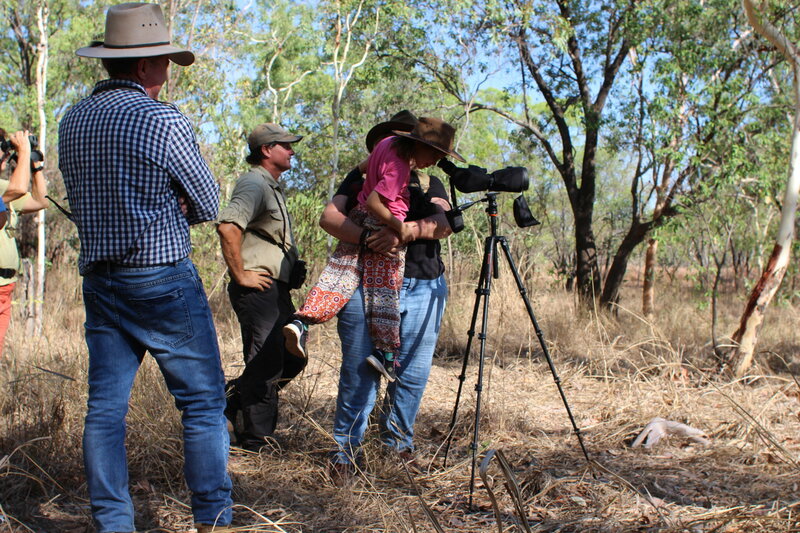 To join the project landholders should be Land for Wildlife members. The first step is to take part in a simple survey to count the tree hollows, canopy cover and presence of fruiting trees on the property, and recall the fire history, assistance will be given to do this. Secondly there will be a chance to take part in a fire workshop, which is also open to others, to understand the effects of fire on wildlife. 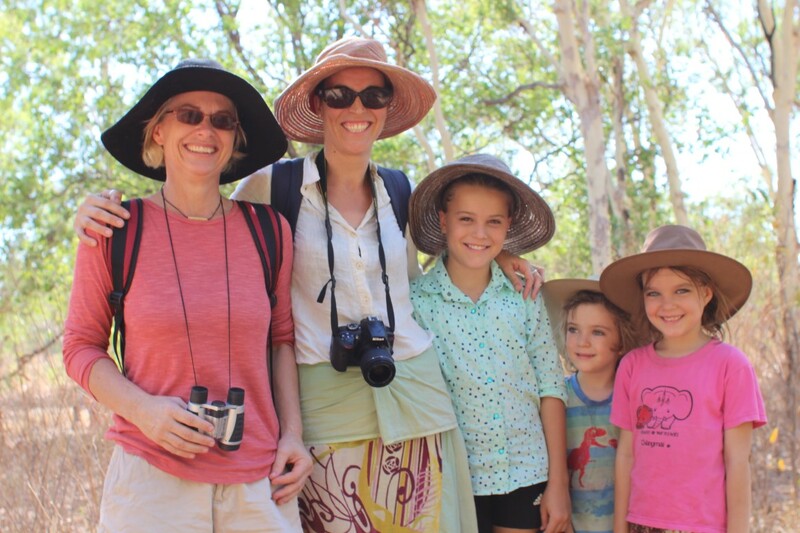 Then comes the most exciting part, landholders and their families will be invited to attend a habitat creation day run in collaboration with Territory Wildlife Park to build their nest boxes (late wet/ early dry season). The nest boxes will be designed to a certain size and shape in the hope to house endangered species, but that can also be used by a variety of creatures and each property can receive up to 5 nest boxes. The templates will already be cut out and then just need assembling. Coming along will let participants know how to make nest boxes in the future and the best places to install them. Not only will the nest boxes be assembled in the workshop, but the team from Remote Area Tree Services will also give a demonstration of how to create habitat hollows from old dead trees with some chainsaw skills. There will be the chance to learn about and meet some of the creatures that will be housed. Those involved can receive up to 50 habitat enhancing plants targeted towards their targeted fauna species. The landholders will need to install the nest boxes and monitor them for uptake. The date of the habitat creation workshop will be announced in the next couple of weeks. 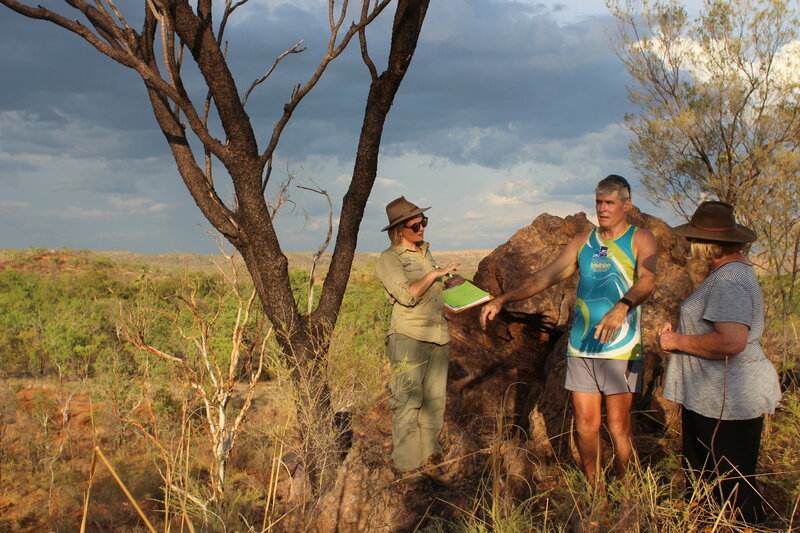 This project is at no financial cost for the landholder as we are very thankful to have received funding from Territory NRM Threatened Species and Community Capacity Grants.